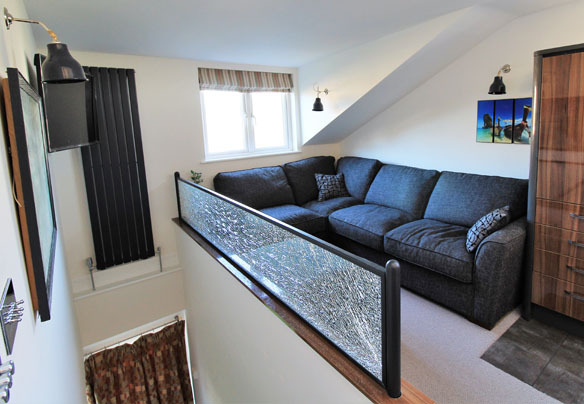 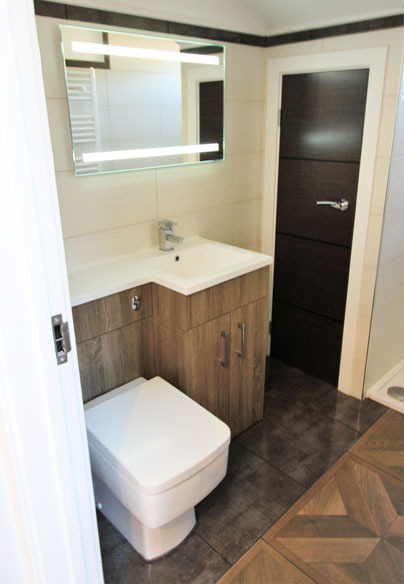 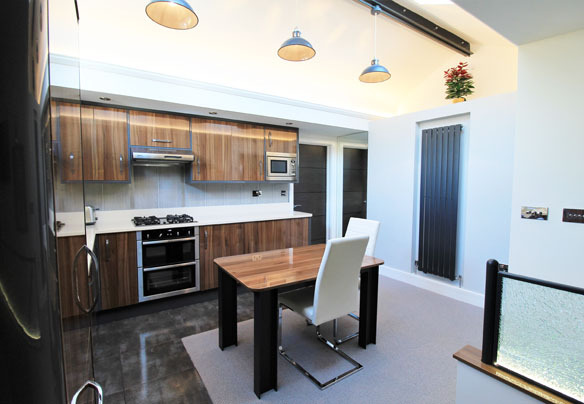 This contemporary self-contained studio apartment was built on top of an existing ground floor extension to accommodate the family’s changing needs. 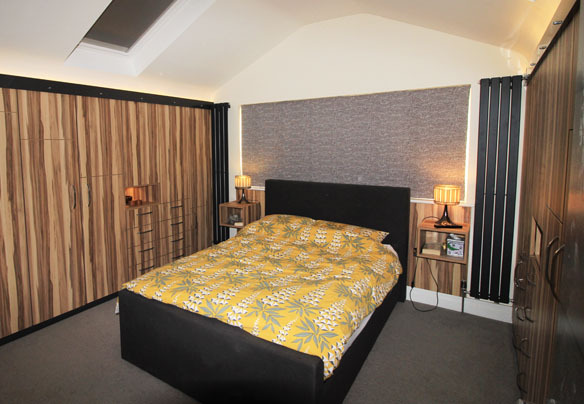 Dormer windows created a spacious bedroom with bespoke built-in storage taking maximum advantage of the area. 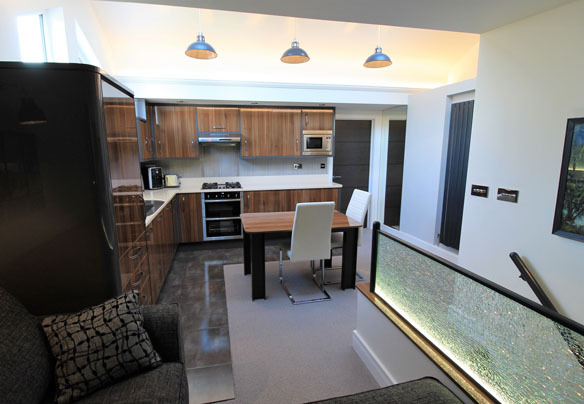 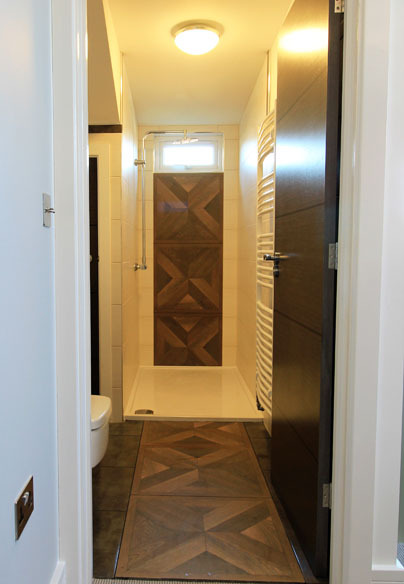 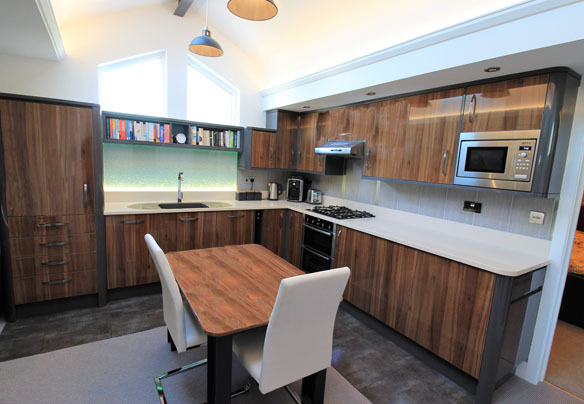 The high gloss doors used in the bedroom continue through to the kitchen, connecting the spaces in the apartment. 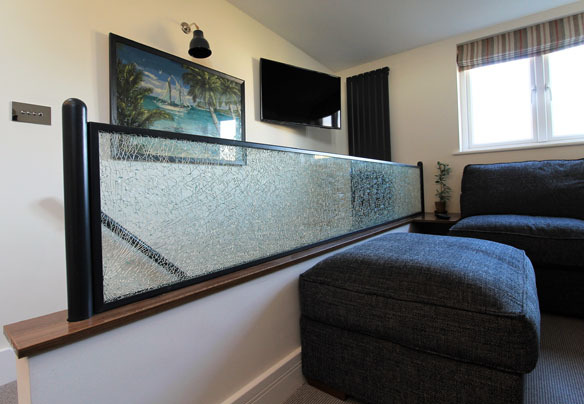 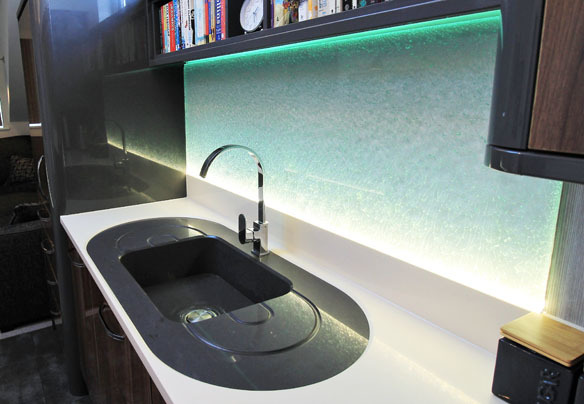 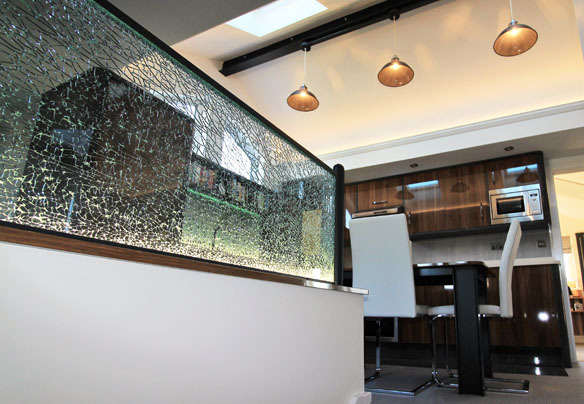 The use of LED lighting tape in the bedroom, behind the “ice cracked” glass splashback and under the balustrade create a calm, relaxing environment.